In this barren time of year, when all the Oscar movies have been out for a while and prime time tv shows are either gearing up or not back at all, very rarely does a show bare such star power. 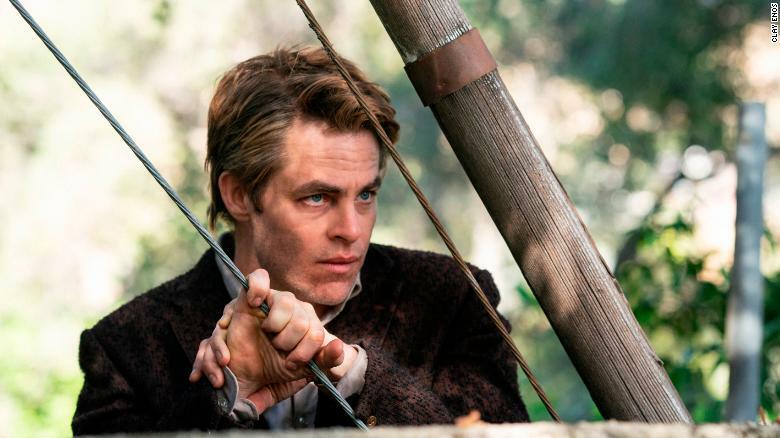 Starring Chris Pine and produced and partially directed by Wonder Woman’s Patty Jenkins and written by her husband, Sam Sheridan, TNT’s I Am the Night tries to combine that star power with an almost too wild to believe true story and a political message about disenfranchised voices. Sometimes it succeeds, sometimes it fails. Based on actual events and Fauna Hodel’s actual life, I Am the Night starts out following 16-year-old Pat, played by India Eisley, trying to navigate high-school and young love as a biracial woman. Rejected by the white world dominating her integrated high school, she is not fully accepted by the black one belonging to her mother and her boyfriend. One night, during her mother Jimmy Lee’s drunken tirade, Pat comes across her birth certificate and with it discovers that she is Fauna Hodel. The news that Jimmy Lee adopted her and her biological was actually white sends her down a rabbit hole for her identity. With this new information, she contacts her biological grandfather, George Hodel, menacingly played by Broadway veteran Jefferson Mays. Reassured by his kind demeanor over the phone and deterred by Jimmy Lee’s anger toward Pat’s desire to know who she is, Pat decides to head to Los Angeles in search of the truth, taking her birth name Fauna, in the process. We also have Chris Pine’s Jay Singletary, a drunken, coked up, and washed up reporter stuck at a tabloid wasting his talent on D-list celebrities, seedy Hollywood producers, and brutally murdered prostitutes. Though Pine finds the nuance and charm in the character, the character itself is an overused archetype. The Vietnam vet, still struggling with wartime trauma, brought down in the past by a big story that turned sour, turns to drugs and other vices to fill the void until he decides to rise again and prove himself as a reporter. With a less likable actor, the story wouldn’t work. The story works best the first and second episodes, both directed by Patty Jenkins. The plot is streamed lined and to the point, letting Pine’s character work shine through. Pine shines under Jenkin’s direction, bringing a charm and wit to an overdone archetype. Classic noir films are referenced through its sweeping city shots and lighting. Through its faults, Jenkins brings out the charm in an otherwise convoluted slow narrative. I Am The Night struggles with its messaging. Instead of focusing on its intriguing mystery, the show tries too hard to make a point about the disenfranchised voices of women and Black Americans during the late 60s. This concept starts out promising the first couple episodes. Seeing a young woman who not only has her past ripped away from her, but her racial identity stripped away as well, is representation we haven’t seen very often. Later episodes (which will be reviewed by this publication as they come out) will fumble this narrative. The show tries to say too much in an already busy and eventful story. The show is worth watching for its jaw-dropping story alone. The notion that some plot points actually happened should be enough to keep watching. The first episode is really there to set up the rest of the story. The leads don’t meet until later episodes and where the story goes and how George Hodel factors into it, is unclear. Despite pacing issues, the mystery of who George Hodel was, how he is connected to Fauna and how Jay factors into everything else is engaging enough to keep watching.